SUNGAI BULOH (Sept 30): Gamuda Land has launched phase two of Gamuda Gardens township in Rawang today, following the market's encouraging response to phase 1. The second phase consists of 134 units of 2-storey link homes with two layout types – 20ft by 75ft and 22ft by 80ft. The selling price of each home starts from RM750,000, translating into a gross development value (GDV) of RM233 million. 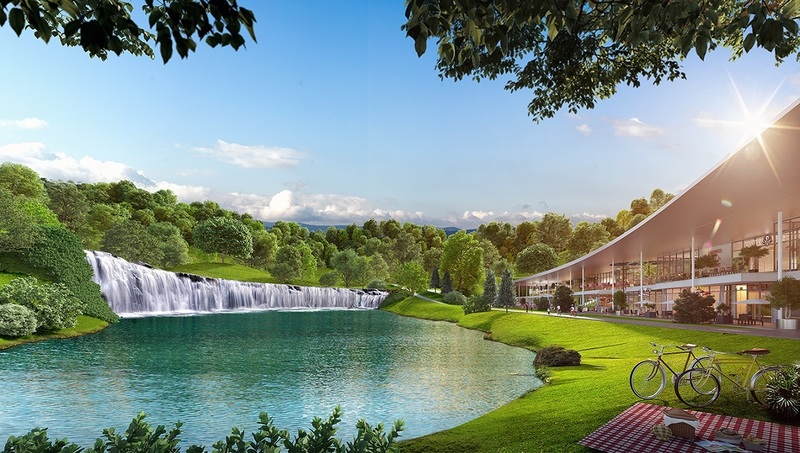 “We are confident that the second phase will receive good response as the first phase did due to the unique personality of Gamuda Gardens as well as its good location that is easily accessible from the city. The demand is there. I think phase two may not be selling as fast as phase one, but it should be fully taken up within a short period too,” said Gamuda Land chief operating officer Ngan Chee Meng during the launch. Also in attendance at the launch were Gamuda Land head of marketing and sales G G Kam and project general manager Wong Yik Fong. Ngan added that out of the 302 units of 2-storey link homes in the first phase, 181 were already sold since they were unveiled in February. The houses have built-up sizes of 20ft by 75ft and 22ft by 75ft and priced from RM680,000 onward, bringing its GDV to RM264 million. “Phases one and two will be completing in 2019. Meanwhile, we will continue to upgrade the infrastructure, such as widening the access roads. We will be investing over RM200 million in upgrading the infrastructure,” said Ngan. Moving forward, Gamuda Land will be launching semi-detached houses, cluster homes and bigger residences in the township. “We also plan to launch some affordable apartments sometime in July or August next year to cater for market demand. The price range should be around RM350,000 to RM500,000,” he added. The 810-acre Gamuda Gardens township is a 15-year development divided into seven precincts, with a total GDV of RM10.1 billion. Built on a natural undulating terrain, Gamuda Gardens offers lifestyle and nature living in a satellite township. It features five cascading lakes and a waterfall in a 50-acre park, a mixed terrain cycling trail and a Waterfront Village. The township is located right at the intersection of the Kuala Lumpur-Kuala Selangor Expressway, North-South Expressway and Guthrie Corridor Expressway.